On Sale Now! 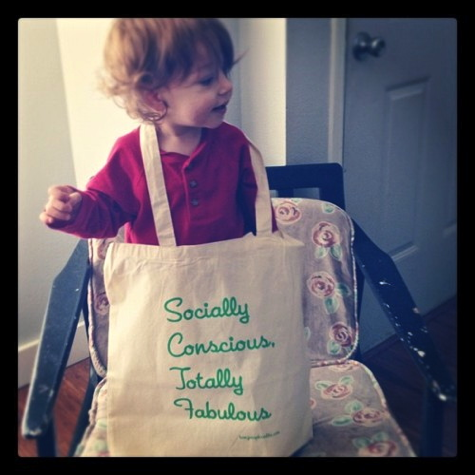 The “Socially Conscious, Totally Fabulous” Tote! 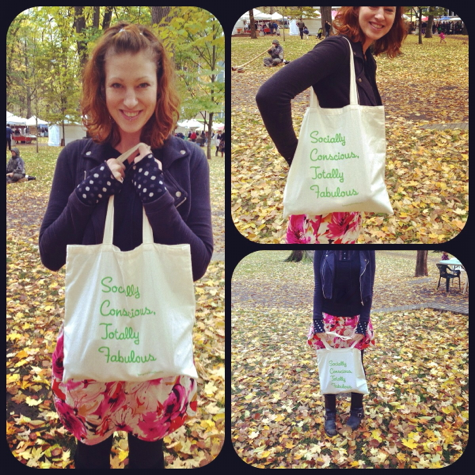 The “Socially Conscious, Totally Fabulous” tote is the very first run of Bonzai bags – and there’s only 29 available! It’s roomy and sturdy and simple and chic. I seriously love this bag, and I know you will too! Measures 16″W x 15.5″H, with 22″ straps. Did I mention they are heeeeell of cute??! The holidays are just around the corner, and a green grocery tote makes an awesome gift for just about anyone! This is a limited addition item, and shipping begins December 5th. Bags will ship every Monday thereafter. Trying to order these but nothing happens when I click add to cart…..
Nooooooooo! Okay, lemme fiddle with it. SORRY! Yup, same here. I can’t see my cart, so when I click add to cart, I don’t know if anything is happening. Sold out!?! I was totally going to buy one! You should get some more lady. Love LOVE them! Hi guys! SO SORRY! They’re not sold out . . . they’re not sold at all. Something is wrong with the eCommerce plugin. We’re working on it! I want one I want one I want one! Excellent! We can wait……..but only because its you! Okay! Should be all fixed, thanks for your patience guys! Thinkin I just got me one cool tote….super stoked!!! 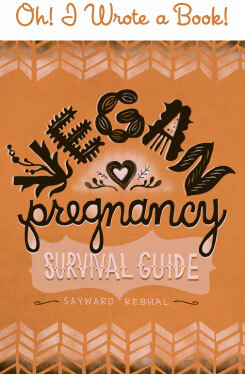 Just ordered mine – so excited! YAY, I got it ordered. Feel free to deliver mine in person, haha. Hello, I am not Sayward but I am using Firefox right now and the comment form works fine for me. Have you installed the latest update? This is a totally unrelated question I have made my own soymilk a couple of times and I like it more than the store-bought but I prefer my soymilk sweeter than can be used in cooking without things being weird. Do you think I could make some plain and freeze it? Everything I’ve been able to find about freezing soymilk is about freezing unopened containers of store-bought. Thanks for your time (and the bags are really nice)! love the tote bag and the pics! But I’m with Neysa: It wouldn’t be environmentally conscious to ship the bag to Germany. Damian fiddled with it, it should work now. Yes?? Aw, I know what you mean! I understand this slogan isn’t for everyone. I thought about doing a BA logo version, but wasn’t sure if people would be interested in that, since the logo doesn’t necessarily mean anything to no-BA folks. But maybe I’ll try it as a second run? . . . I am willing to bet it would freeze great. I’d say at least give it a try, since it’s relatively cheap and worse coes to worst, you lose one batch (but then you have your answer!) If you do, will you let me know? Just got myself an early Christmas present! I can’t wait for the bag! These are super cute. The simple truth is I like this article, the author’s writing was very honest, very clever writing skills.